Oops, I forgot a project!!! And it is one of my favorites and I think this might be my "gift du jour" for the Winter Holidays and birthdays!!! And it uses about 200 yards of Worsted, it's a great stash buster!!! 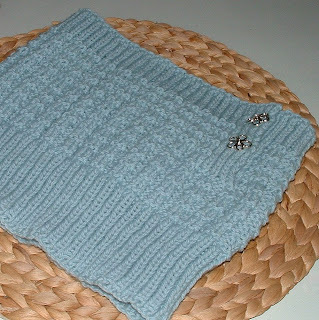 Comments: A super easy and quick knit, perfect for watching all those reality TV shows! A close up of the buttons because they are cute!! !